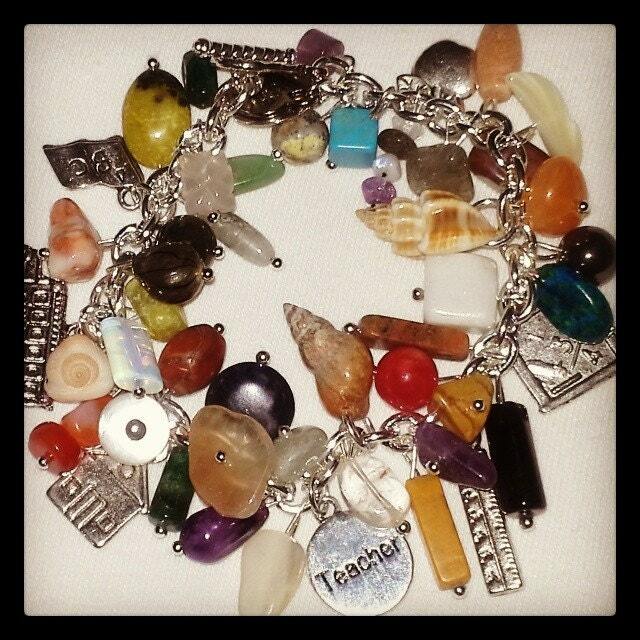 Thank your child's teacher with a Teacher bracelet it is made with Gemstones* and Teacher Themed charms. Beads & charms will vary as no two bracelets are exactly the same. *Gemstones are a mix of Natural & Man Made gemstones.